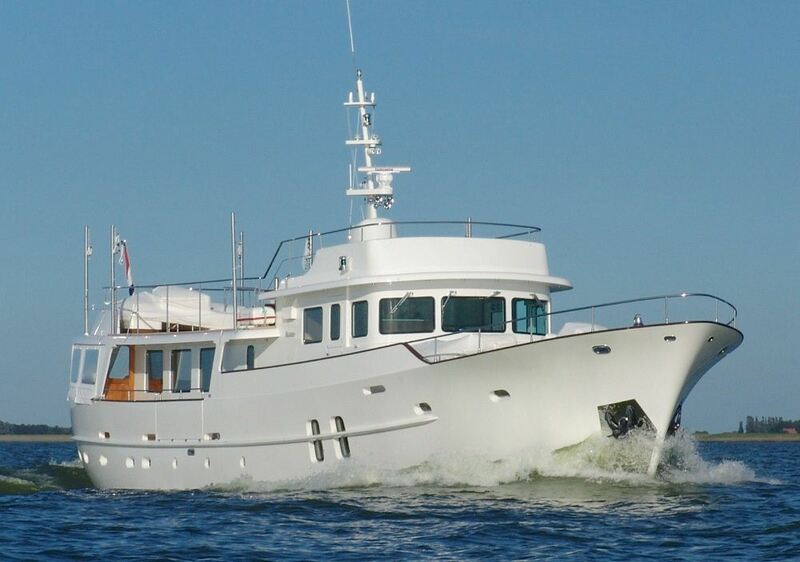 Luxury motor yacht SULTANA (ex Din Dina, Hull #598) was designed by De Voogt Naval Architects and built by Feadship in 1969, her hull is a classic canoe style measuring 25.8m (84.6ft). 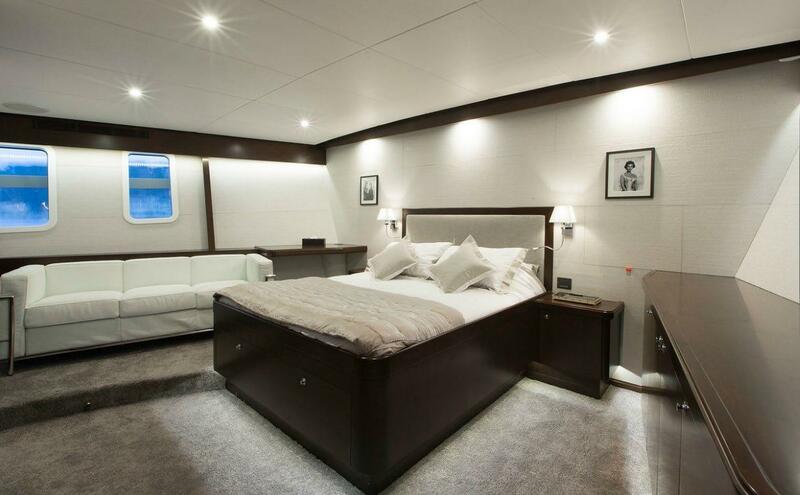 The yacht underwent a complete refit in 2012 and now sports a traditional exterior with a modern interior and state of the art amenities. 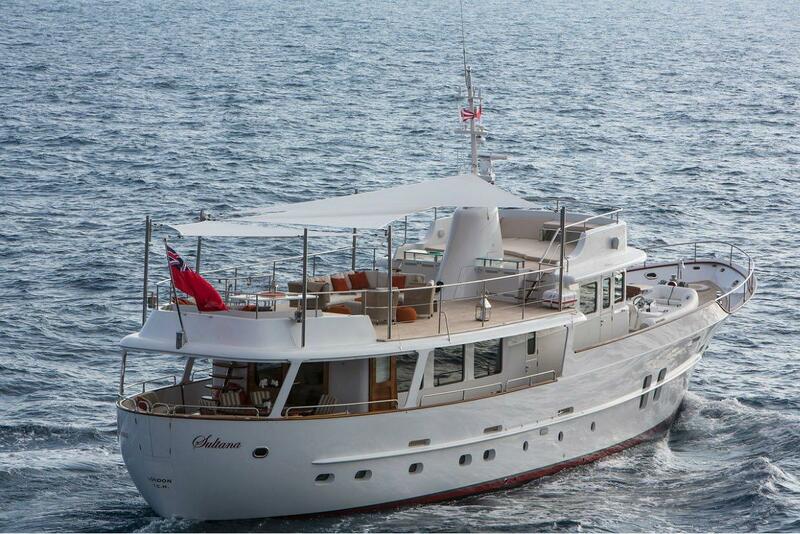 M/Y SULTANA is available for luxury yacht charters in the West Mediterranean for up to 8 guests. 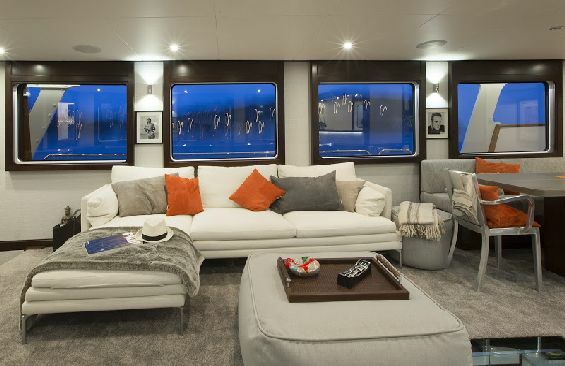 Charter yacht SULTANA has a cool contemporary interior of muted soft greys and rich walnut panels. 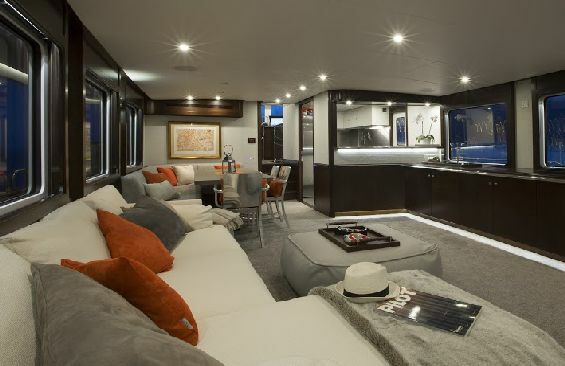 The salon and dining are an open plan with the lounge aft boasting a large L shaped sofa on the port side and full entertainment center on the starboard side. 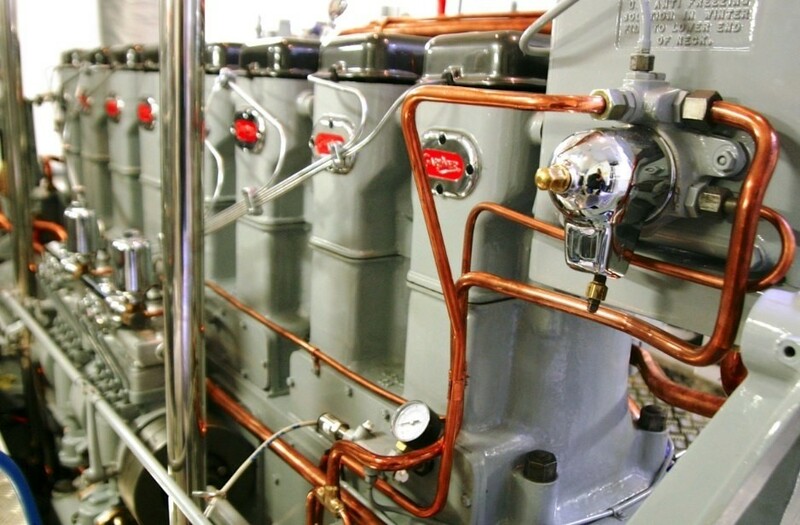 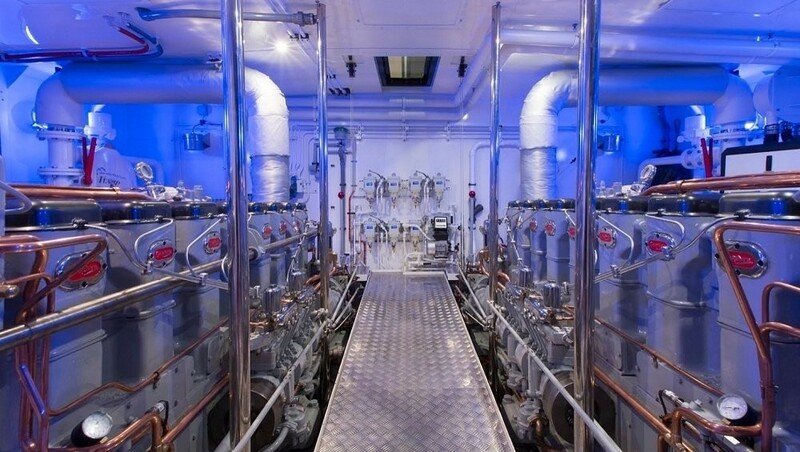 A fabulous feature in the lounge is a glass floor section, which gives views into the immaculate and totally rebuilt Gardner diesel engines below. 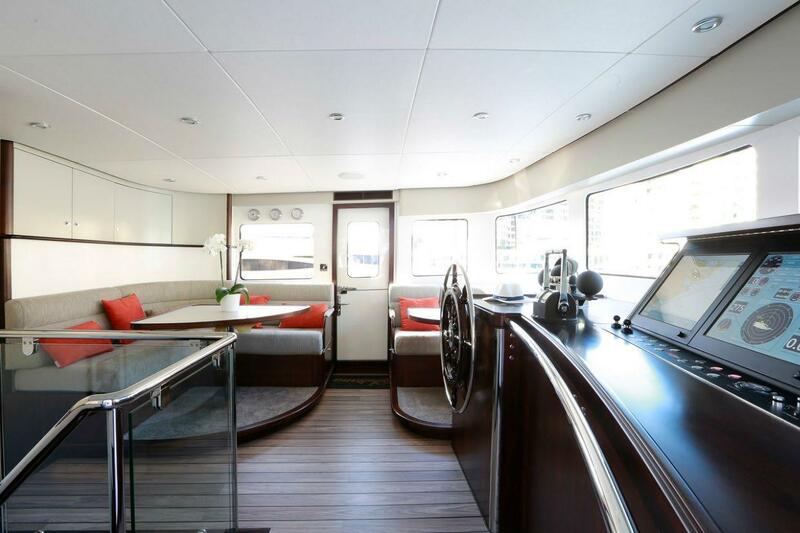 Forward of the salon, the formal dining area is on the port side and the partial open galley sits to starboard. 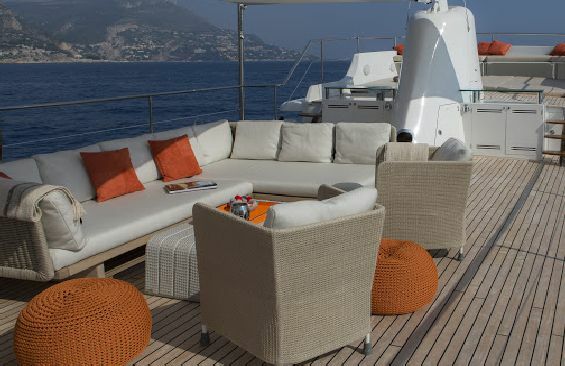 Further forward and up a few steps, is the full beam pilot house, offering an additional 2 tables and built-in seating. 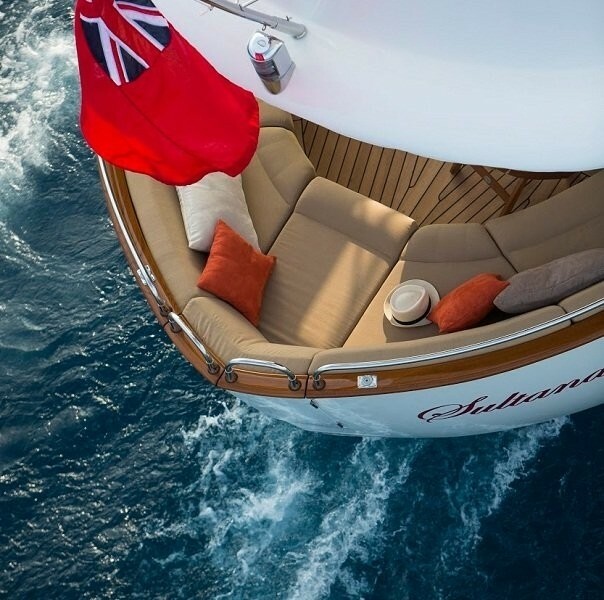 The space can be converted into a second salon by joining the seating, the entire dashboard of the helm station cleverly lowers out of view, leaving just the main helm and throttles, thus producing unrivaled scenery. 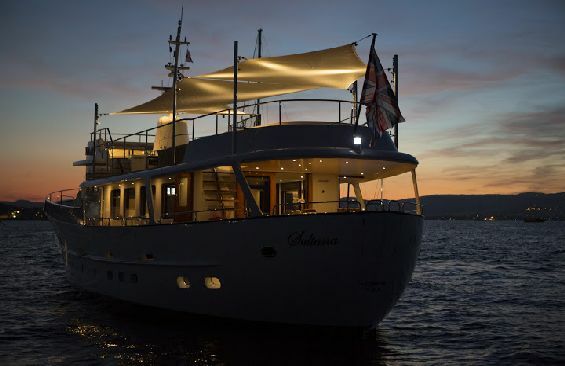 Motor yacht SULTANA offers ample exterior living. 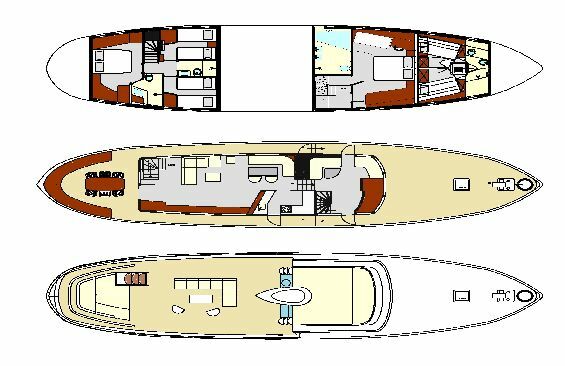 An electric door leads from the lounge to the spacious shaded aft deck, alfresco dining option, built in aft seating and wet bar fridge. 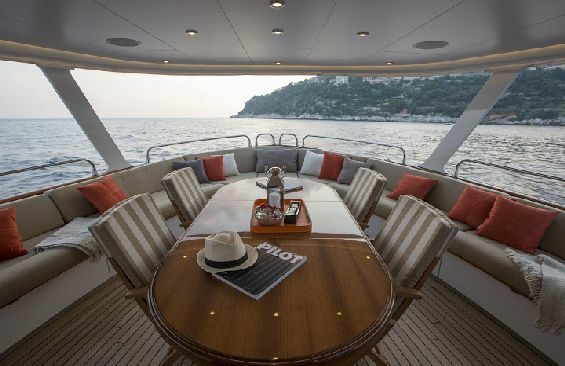 Above the main deck, the sundeck runs from atop the pilothouse right to the stern of the yacht, creating a generous second deck and entertaining area. 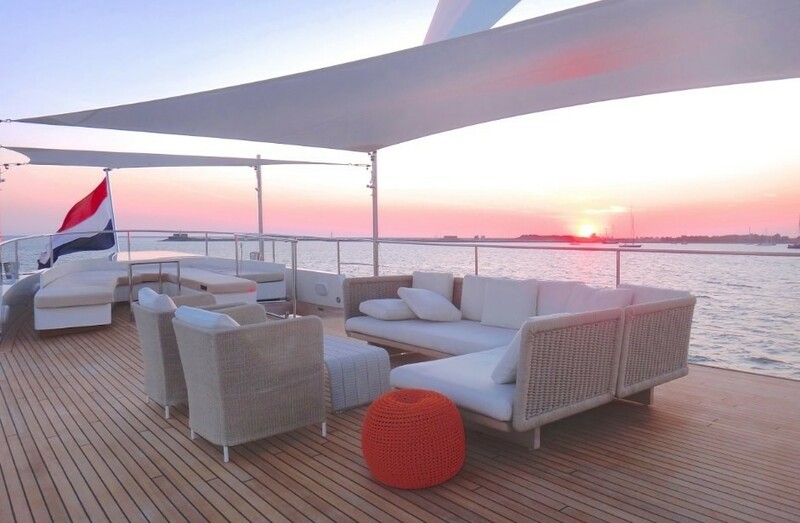 The sundeck boasts a further aft seating and dining space which converts, outdoor lounge seating, massive forward sunpad, BBQ, drinks fridge, sink and shower to cool off. 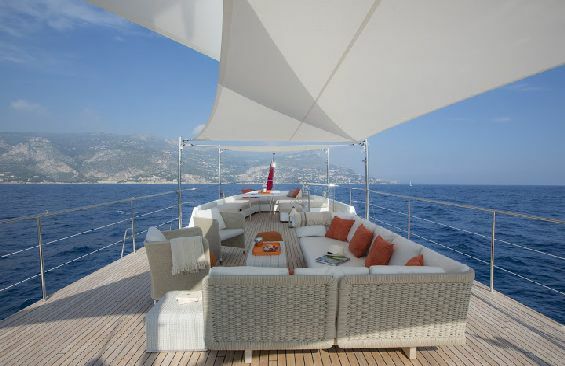 In addition to this, the sundeck has a retractable Bimini cover with built-in lights and misting devices. 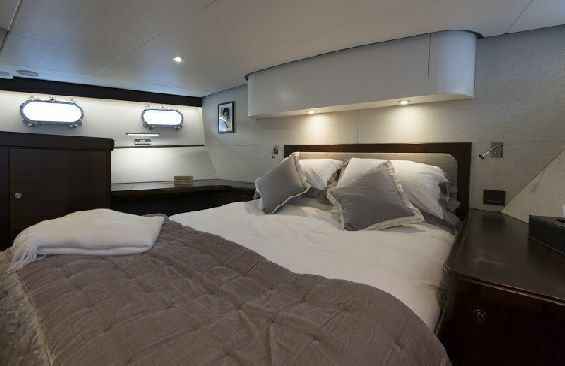 Water enthusiasts aboard the M/Y SULTANA will be thrilled to find the side of the hull opens out to create a swim platform, ideal for making use of the water toys on offer. 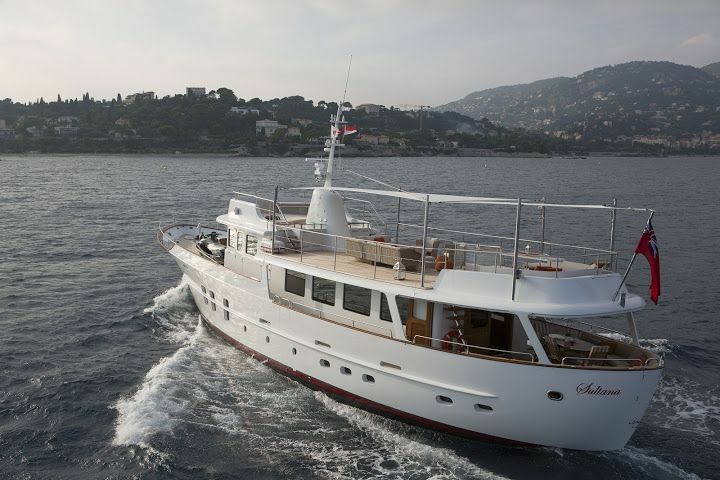 The classic Feadship charter yacht SULTANA offers 4 generous and neutral cabins for up to 8 guests. 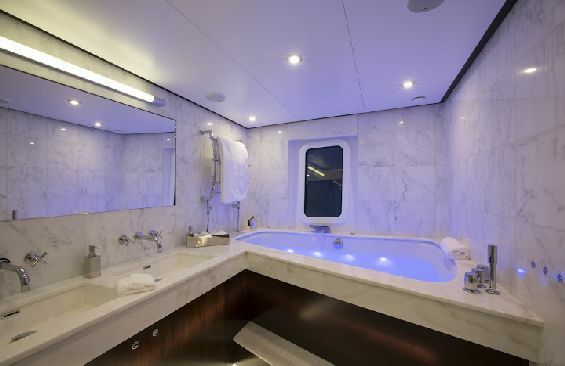 The master suit is forward and full beam of the yacht with a center lined queen size bed, vanity, sofa, walk in wardrobe and his and hers facilities with a large hot tub and separate rain shower. 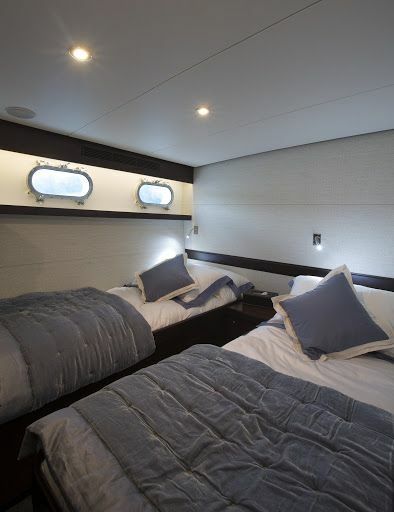 A VIP cabin is aft and full beam of the yacht with a center lined bed. 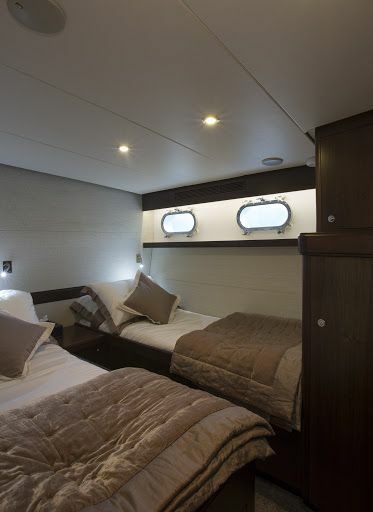 A further 2 cabins are on port and starboard with side by side single beds and shared facilities. 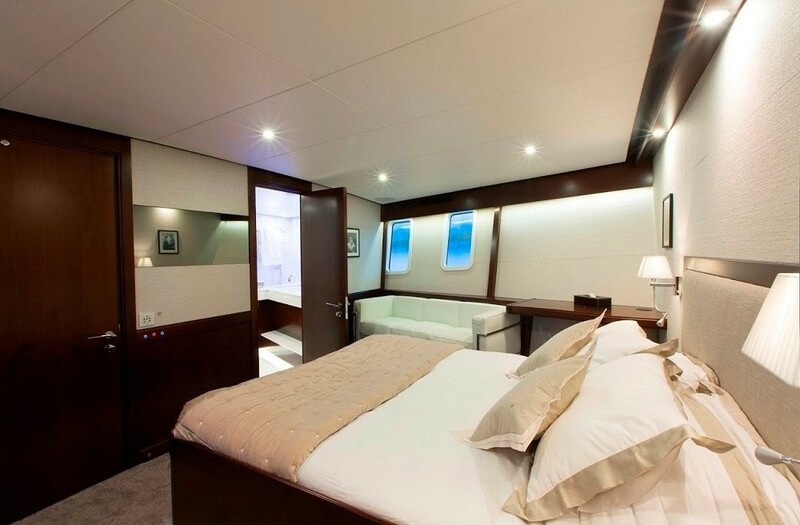 Each cabin features built in state of the art TV systems that appear as mirrors unless switched on, in addition to TV entertainment, they are linked to the deck and underwater cameras. 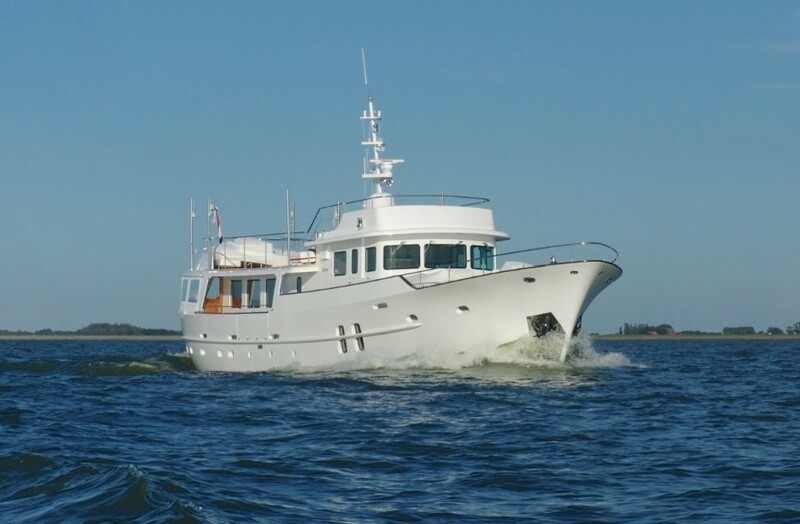 Tenders & Toys: ~Jet tender Williams ~Wave runner Yamaha ~Sea Bob F5 ~Scuba diving equipment (Rendez-vous diving only) ~Water ski & wakeboard ~Fishing gear Audio Visual Equipment and Deck Facilities: ~All cabins and salon are equipped with PC entertainment systems: movies, music, TV and cameras are accessible easily. 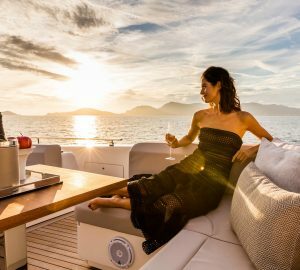 SONOS sound system to play music from PC, Mac, tablet or smartphone anywhere around the yacht.